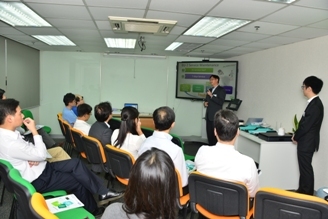 Million Tech has held it’s monthly workshop focusing on RFID, Mobile and QR code technologies on 31st Oct, 2014. The workshop featured SOTI’s MobiControl solution the world’s most trusted Mobile Device Management, it also provide latest updates on RFID technologies showing a live demonstration on the ultra high speed RFID PJM Document reader. There were further updates on Denso’s QR code technologies featuring Frame QR Code Templates and more secure security QR code known as SQRC. The next workshop with be held on 5th of December, 2014.